A floral medallion defined by sinuous rococo scrolls floats majestically within an ivory field on this classic French Aubusson. 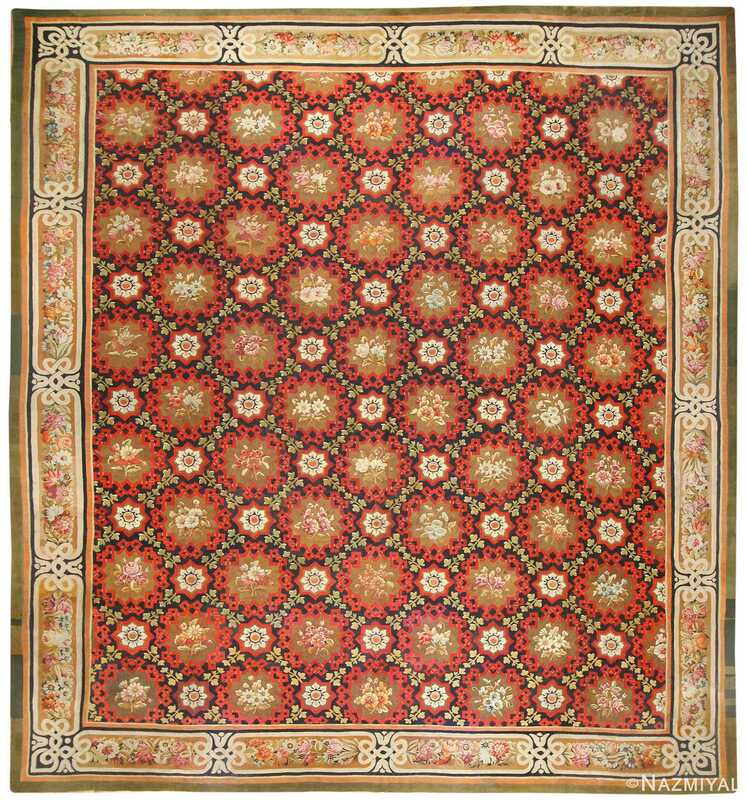 Large Floral Antique French Aubusson Rug, Country of Origin: France, Circa Date: Late 19th Century – Generally speaking, French antique Aubusson rugs are some of the more celebrated of all European rug styles. These graceful and majestic compositions are prized for the lifelike depiction of floral elements and general neoclassical decorations that they often display. 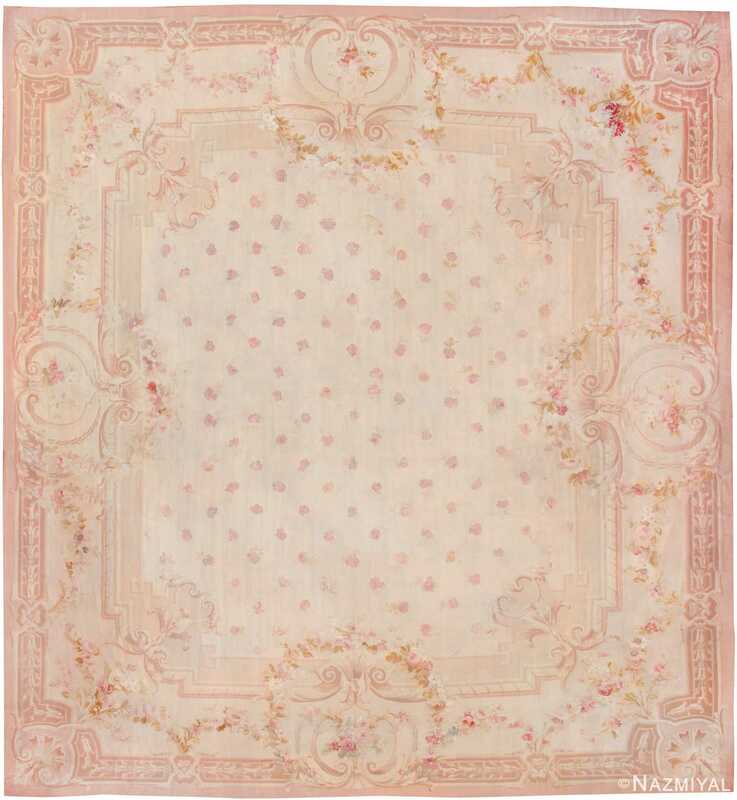 A floral medallion defined by sinuous rococo scrolls floats majestically within an ivory field on this classic antique French Aubusson rug. Pendant floral swags or garlands appear to hang from the medallion, enclosing it like a grand corolla. Tiny bouquets in the four corners occupy what otherwise appears to be an open field, although a closer look reveals a very subtle, tone-on-tone lattice pattern. A classic Aubusson border of filleted laurel garlands, floral sprays, and cartouches frames the field, giving it an almost architectural quality. 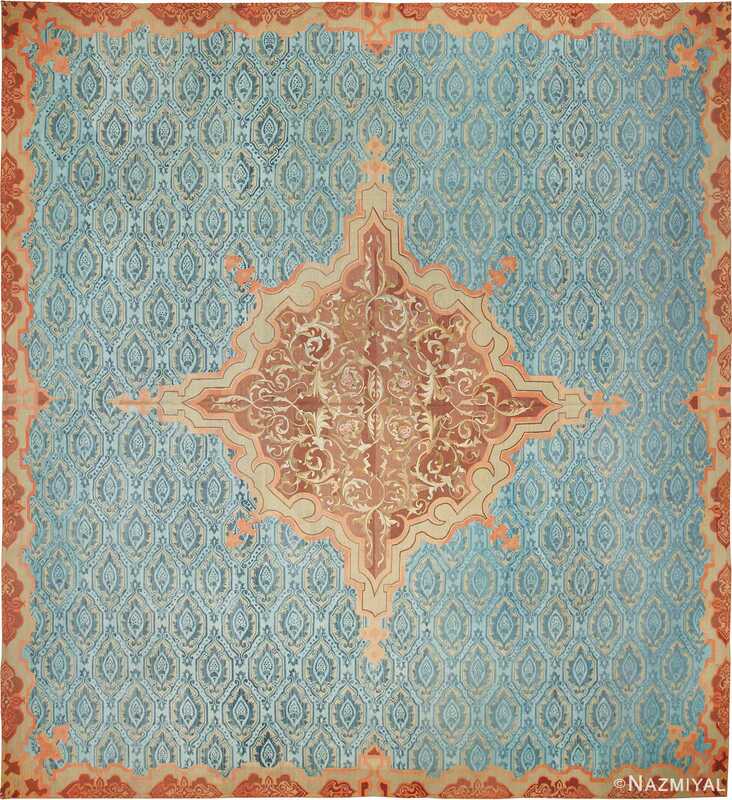 A beautifully woven example, this antique French Aubusson carpet is an appealing antique French carpet with all of the hallmarks of this celebrated style.